Acupuncture Marketing In Newspapers – Advertise At Your Own Risk. 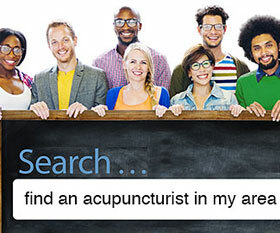 When you advertise online especially on Google Adwords, your ads will only be seen by people searching for an acupuncturist in your local area. Your ads will not be seen by people searching for a plumber, a dog groomer or a pizza joint. Not only that, but you don’t pay for impressions (how many times your ad is displayed,) you only pay when your ad is clicked. These two factors are what distinguish online marketing from offline marketing. Let me explain why. Newspapers charge for ad vertising by the size of the ad. While the size of an ad does impact the response, what you need to pay attention to is how the ad is delivered. Here’s what I mean… The newspaper model is based on circulation. Unlike Google which only displays your ads when the user enters a specific keyword in the search bar, newspapers deliver your ad to everybody and their brother. What’s the problem with this? The problem is that there is a lot of waste because there will be thousands or hundreds of thousands of people who don’t need, want or are interested in acupuncture. You are in fact paying to deliver your acupuncture marketing message to a lot of people who are not your target audience. To make things worse, newspapers are still stubbornly stuck in their pricing model. When you advertise in a newspaper, the newspaper quotes you prices based on how many times you will run the ad. The more you run the ad, the less you pay. It is cost prohibitive to run a newspaper ad once because the newspaper will charge you a small fortune. Ten years ago when the public was still reading newspapers, the newspapers could demand whatever price they wanted from the advertiser. But today the newspapers are in big trouble. They are going out of business in record numbers because people are getting their news online, especially the younger demographics. You would think they’d be scrambling to figure out how to survive by changing their ways, but maybe they don’t stand a chance anyway. It’s the evolution of technology that brings about these changes. But what irks me about newspapers is that they still price their advertising based on the old model which no longer works. They love to get your money up front by charging less per ad, but they really don’t care if your ad works or not because they already have your money. They penalize the advertiser who wants to run an ad once or twice. They know there’s a good chance they’re not going to see that advertiser again because the ad response will probably be poor. You see, in order to maximize the effectiveness of your advertising you must test it first. You have to test the headline, message, appeal and offer. Once you have an ad that works, then you roll it out big, but not until then. They will say you must run your ad continuously so people get used to seeing it and call you, but that’s a load of crap! Yes, repetition in advertising is important, but more important is to have a winning ad that pays for itself and makes you money. And the only way to achieve that is by testing and improving it. Then you can roll it out when you have a winner. You can do that online but you can’t do it with newspapers. To make matters worse, newspaper circulation has dropped so much that I think they are going the way of the dinosaur. Their readership has moved online, so as an advertiser, not only do you get penalized for buying advertising in small chunks to test, but circulation is down so much that it doesn’t make sense to advertise in print. Not for acupuncturists anyway. Look at the numbers below. They are from 2009. The column on the right shows the percentage loss in circulation. 1. 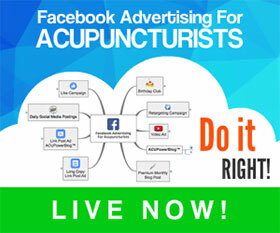 Your ad is going to be seen by hundreds if not hundreds of thousands of people who are not looking for an acupuncturist. Those are wasted advertising dollars. 2. If you don’t use direct marketing principles in your ad, it doesn’t stand a chance in getting those who are interested to take action. How To Get The Most Out Of Newspaper Advertising. You’ll want your ad to be within the first 9 pages of the publication. This goes for magazines too. You’ll want your ad to appear in odd number pages. Those would be the right hand pages. If for some reason the pages are numbered with the odd numbers on the left you still want to be on the right hand pages. You’ll want your ad to be as close as possible to the right side edge on the right sided pages. I’m not saying this may be easy to accomplish. I’m telling you what you should shoot for. Testing has shown that ads placed as I mention here dramatically out pull other ads in the publication. Why Do People Read Newspapers? You’ll probably never try the following approach because I’m certain you have it ingrained in your mind how a newspaper ad should look, but you can’t say Frank Prieto never told you. Why do people read newspapers? They read newspapers for the news. People don’t buy newspaper to read the advertisements. Well, I do but I’m a strange bird. Seriously… If you want your ad to get read, don’t make it look like an ad. Make it look like a news story or another article in the paper. 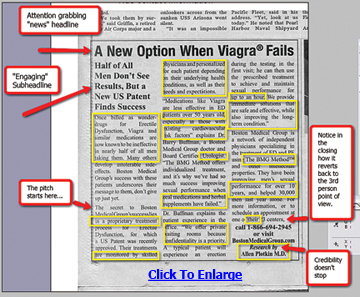 An advertorial is an advertisement that looks like another news story in the newspaper (see figure 1.) 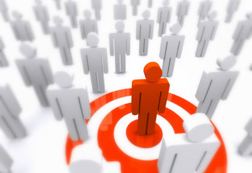 They are very effective if done right and you incorporate direct marketing principles. 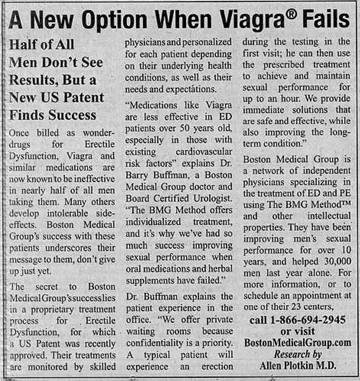 By the way, if you’re wondering why I’m showing the Boston Medical advertorial as an example is because I haven’t found another company testing their ads in my local newspaper. I can tell by the way they test their ads, this company hired a marketing firm instead of an ad agency. As I dissect the ad in a minute, you’ll see how they use direct marketing principles. If they would have hired an ad agency it is very unlikely you’d see this kind of testing, or even see an advertorial. advertising will not work for them. If you take this approach, you are likely to miss out on finding advertising gems you could apply in your own acupuncture practice that can make a dramatic impact on your bottom line. In just about every case, a marketing idea from one industry can be applied to another and boost the return on your advertising investment. In the last few years newspapers have gotten stricter about advertorials and some don’t allow them at all. The newspapers that allow advertorials require you put the word “Advertisement” at the top in small print (about 10pt size.) Testing has shown that putting the word advertisement at the top of the advertorial, surprisingly does not affect the response rate. What all newspapers do not allow is that you use the same font (type face) in your advertorial they use to print the paper. But there are many similar fonts you can use that still make it look like another news story. I can understand why some newspapers don’t allow advertorials. They need to uphold their journalistic integrity and have a responsibility to protect the public from certain unscrupulous advertisers who will scam the public and won’t think about it twice. But since we are legitimate business people we shouldn’t have a problem using advertorials. Advertorials are very effective and will increase your response rate dramatically. I highly recommend them and don’t have a problem creating them for my clients, as long as the client is running a legitimate business. 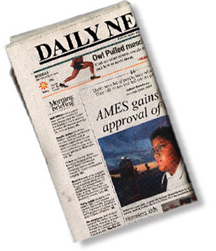 Advertorials are one more marketing tool at your disposal that can turn out to be very effective. Because an advertorial is supposed to look like a news story, you have to deliver your acupuncture marketing message in a way that is not self serving and is free of hype . You still get an opportunity to put a call to action, but it’s done in the resource box at the end of the article. Lead Generation – What They Didn’t Teach You In Acupuncture School. The purpose of this article is to explain to acupuncturist in plain English what a lead generation system is. So I think the best way to start off the explanation is by defining what a lead is in sales and marketing terms. When you place an ad in your local newspaper, put up fliers at Whole Foods, or run a Google Adwords campaign, what you are doing is called advertising. Yes, I know you know that, but stick with me here for a minute. When someone sees your ad in one of these mediums and picks up the phone and contacts you, that is called a lead. If you got 10 calls that week, you got 10 leads. A lead is someone who - through some form of advertising - contacts you to learn more about you or your practice. Now lets say that of the 10 leads who called you, 5 of them decided to book an appointment. At that moment, those leads who booked an appointment "converted" from a lead to a prospect. I normally use the term "prospective patient" when I'm talking to acupuncturists, but for now lets call it what it really is in sales and marketing terms. So you got 10 leads that called, but only 5 converted to prospects (booked appointments.) The 5 prospects that came in, all but 1 stayed for their first treatment. We can then say that the 4 prospects who stayed for treatment, converted from prospects to clients (new patients.) If you did your job right, those 4 new patients (clients) are not going anywhere else. And you can put a dollar amount on each new patient to determine their life time value. Lead generation is a marketing function that works via advertising to get people who are interested in your product or service - in your case acupuncture - to pick up the phone and call you. In other words, to take action. That is why it's important your ads have a clear call to action. 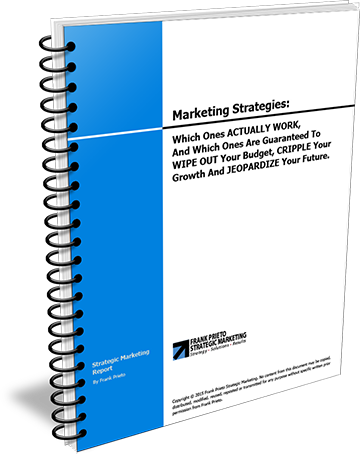 Once you develop a strategy to generate leads cost effectively, you just rinse and repeat. Most practitioners don't understand that all you have to do to get your practice humming is have a steady flow of leads. Not patients... LEADS! You cannot acquire new patients until you generate a steady flow of leads on an ongoing basis. 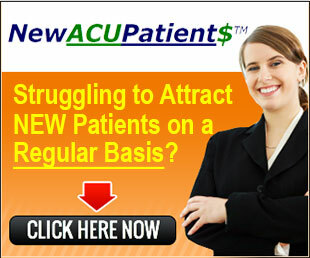 Get the leads flowing and the new patients will follow... Guaranteed! 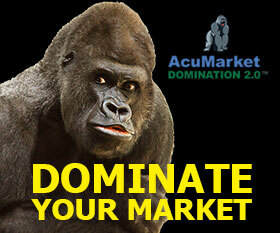 Once you develop a lead generation strategy that works for you, you have in fact created a lead generation system. The problem with most acupuncturists is they hate sales and marketing to begin with, so all this marketing lingo is a big turn-off for most. I wrote this article to help practitioners understand why lead generation is so important. Did you know that what people say about you is 10 times more believable than anything you can say about yourself? It's true... That's the power of TESTIMONIALS. Testimonials carry a lot of weight because you’re not the one tooting your own horn. Instead you have a third party telling the world how great an acupuncturist you are. Testimonials prove to others that your patients get results under your care and gives those looking for an acupuncturist in your area a good reason to book an appointment with you. Marketing acupuncture and testimonials go hand in hand. You gotta see my acupuncturist! If you already "proactively" ask for testimonials from your patients then you're on the right track. My advice to you is NEVER to stop this habit. This is a good practice to continue for as long as you are in business. The more testimonials you have the higher your credibility in the market. Testimonials are one of the most powerful marketing strategies you could use to get quantifiable results. If you don't have testimonials I encourage you to start getting them right away because they will make a dramatic impact on your success. This is one of the most effective marketing strategies where the return on investment is unmatched. Why? Because testimonials are free. I can’t think of a less expensive or easier marketing strategy where you gain credibility without paying out a single dime for advertising. Do you see my point? Of course there's a right way and a wrong way to get testimonials. If you do it right you'll start to see how fast they pile up. But if you go about it the wrong way you can put your patients in an awkward situation. Asking for testimonials at the wrong time is inappropriate, I think. "You know Mary, I'm so glad you're feeling better. 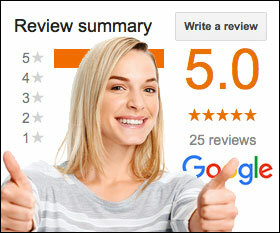 Would you mind if I used your experience as a testimonial on my website? I think others will benefit from reading how acupuncture has helped your condition. To protect your privacy I would only post your first name and the city you live in. If you don’t like to write I can write it myself and send it to you for approval. You can review it and edit it as you see fit. There's no obligation of course. If you don't feel comfortable doing it I understand, I just feel it would help others see how acupuncture can make a difference." It is very likely Mary will give you a testimonial and so will the other 98% of your patients if you ask at the right time. Besides, you have nothing to lose. The worse that could happen is they say no because they're shy. But that's the exception to the rule. Most people want to help and will be happy to give you a testimonial if you ask for it when the timing is right. Another easy opportunity for getting testimonials will come to you via e-mail. This is even easier than in person. Some times a patient will e-mail you saying how much better they feel. This is a perfect opportunity to hit the reply button and say; “Mary, can I use your e-mail as a testimonial on my website?” It is rare a patient will say no. Don't lose the opportunity to ask for testimonials. Just make sure to ask for them when the timing is right and you’ll see how fast you gather them. Asking for them out of the blue is not recommended. I’m not saying it won’t work, but patients are more predisposed to give you a testimonial when they’re sharing how happy they are with the results they’re getting. If you’re starting at ground zero and want to get warmed up practicing getting testimonials, you can approach your close friends or loved ones that have come to you for acupuncture. Just ask them for the testimonial. The more testimonials you gather, the more credibility you'll gain. 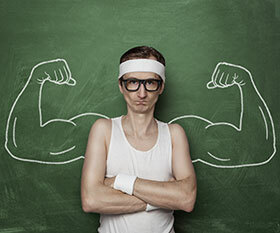 Don't make the mistake of underestimating the power of testimonials. I don’t think I need to say this but I will. Never fake a testimonial. You can spot a phony testimonial a mile away. Another thing to keep in mind is always use the person’s first name. Putting a persons initials at the end of a testimonial makes it look phony even if it’s not. If a patient refuses to use their first name in their testimonial and just wants to put their initials, accept the testimonial, thank them for it, then file it in the circular file. Most people will be happy to give you a bona-fide testimonial with a first name and city or town. Speaking of testimonials, please feel free to leave a comment if you have a way of getting testimonials that works well for you. Your fellow practitioners will appreciate your input.